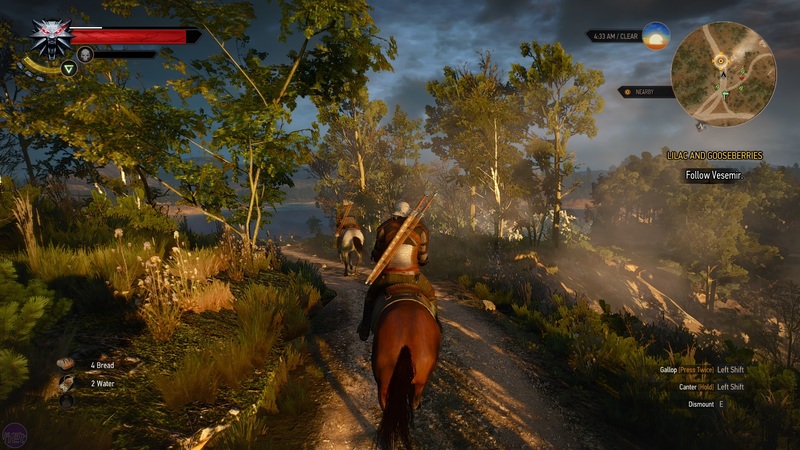 The Witcher 3 is incredible. There's no point dressing this fact up with a flowery introduction. Best get it out of the way quick, so we can get on with discussing the why (there's a lot of why). But if you're just here for a simple recommendation, to hear whether or not CD Projekt's latest is worth your hard-earned Crowns, then let me say The Witcher 3 is a truly astonishing RPG that I recommend with all my heart, mind, body and soul. Thumbs up, smiley face, five stars.Now cancel your plans for the next fortnight and get playing. It's going to take a while. You see, The Witcher 3 is not just worth playing, it's worth playing to the very end, exploring each town, village, ruin, castle and cave you encounter along the way. If you read my reviews regularly, then you'll know I have little patience for games that don't respect the player's time. The Witcher 3 positively worships your time. It knows precisely what it's asking of you, and delivers satisfaction in virtually every quest, every line of dialogue, every tantalising question mark crammed into its enormous map. How have CD Projekt achieved this? There are many reasons, but I think the main one is a word that sounds odd to hear attributed to a 200 hour open-world RPG; focus. The majority of role-playing games, especially open-world examples like Skyrim, are essentially thematic playgrounds designed to let the player experience them however they please; creating their own character and building a play-style around that, expecting the game to adapt accordingly. 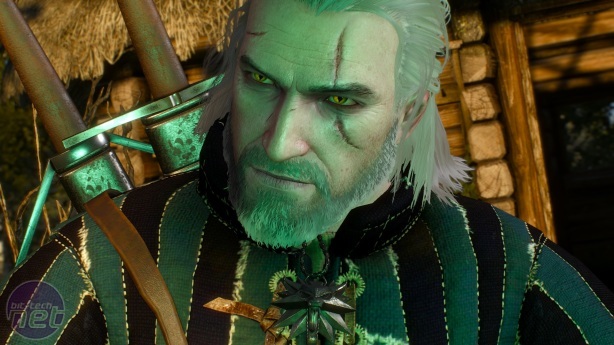 The Witcher, on the other hand, isn't about creating a role. It's about assuming one - that of Geralt of Rivia. If you missed the previous two games, witchers are professional monster hunters, adapted to their trade through a combination of intense training and deliberately applied mutations, making make them faster, stronger and more resilient than normal human beings. Extremely dangerous and supposedly stripped of emotion, witchers are viewed with a combination of awe and terror by the very people who require their unique service. 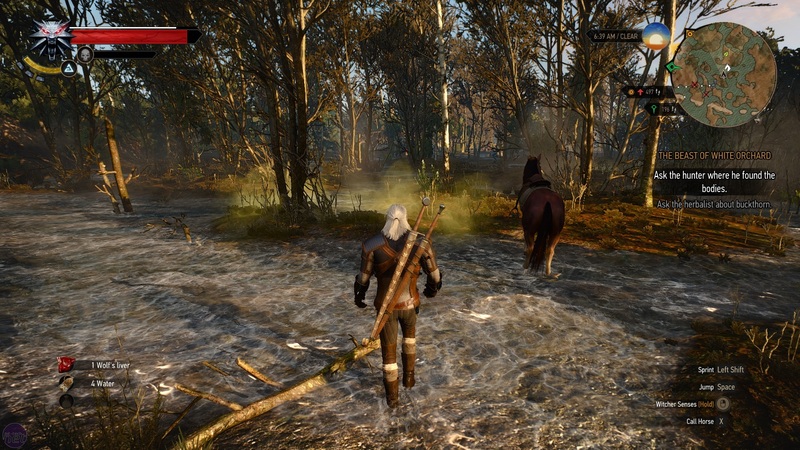 Geralt differs from most of his brethren due to his tendency to become involved. Whether it's a local dispute in a peasant village or an elaborate plot to murder a king, Geralt's job of tracking down and killing monsters frequently puts him at the centre of fractious social and political problems. 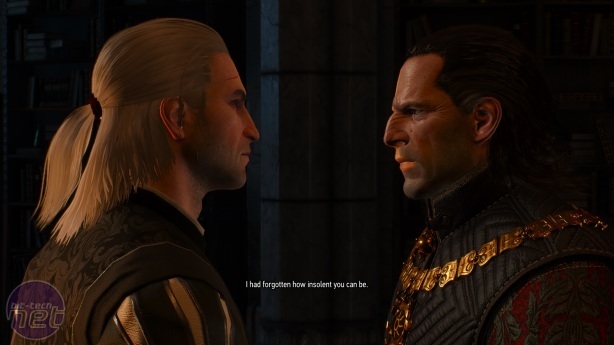 And because witchers are ostensibly neutral in the grand scheme of things, both parties always look to Geralt to cast deciding votes, forcing him to make seemingly impossible choices that will inevitably result in someone being angered, hurt or killed. It's around this very specific character that the Witcher's world is built, and in the Wild Hunt, the world is more suited to a witcher than ever. Two powerful states are stuck in a grinding war of attrition for the Northern Kingdoms, while ghouls, ghosts, and other beasties have proliferated in the No Man's Land between the two armies. Plenty of good work for a witcher like Geralt, but work that once again brings him in close proximity to great powers and greater conflicts. Geralt's reasons for being in such a terrible place actually have nothing to do with plying his trade, but we'll get to that shortly. What's important is that the world is violent, politically unstable, and brimming with monsters that need dispatching. It's also by turns beautiful, earthy, and downright eerie. The fiction of Andrzej Sapkowski upon which the witcher games are based is strongly rooted in European fairytale both Grimm and grim, and CD Projekt have captured this tone perfectly. The villages you pass through between missions bustle with peasants going about their daily routines. Men and women curse and complain as they toil in the fields, while children play in the streets and the elderly share gossip as they shelter from the elements. Between these fragments of civilisation are wild woods whipped into an unnerving frenzy by gusting winds, misty swamps that hide hideous creatures like foglets and water hags, and abandoned battlefields churned into muddy wastelands, fallen banners still fluttering in the breeze.